Thinking of older and/or people with limited mobility, we realized that perhaps they may find annoying to tie the usual hospital gown, which has a locking system at two points by ribbons, in the neck and in the middle of the back. The new “Open” gown, which is available now, is already closed at the back of the neck, so you don´t have to lift and throw back the arms, a movement that people from these groups may find difficult, and has velcro in the middle part, which also facilitates the closure, especially in cases of reduced mobility in hands, arthritis, etc. 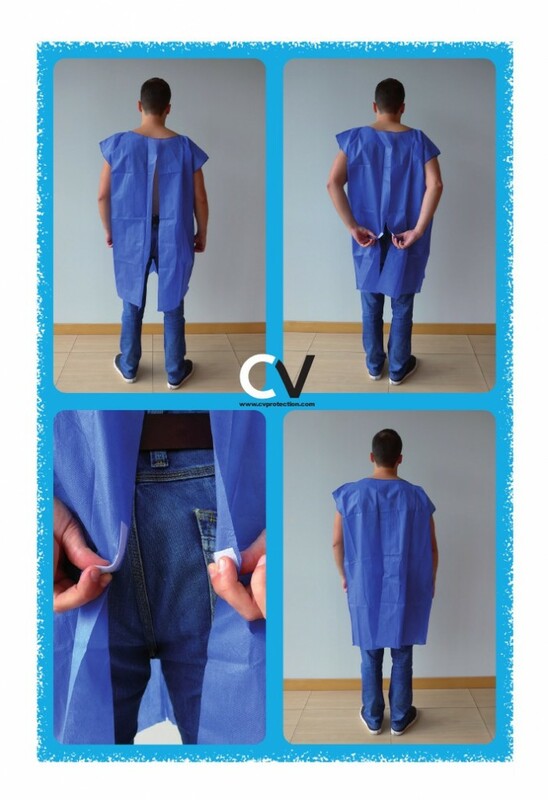 As for the aforementioned opacity of the material, non-woven triple layer of 30 g/m2, we believe that there are many cases where it is important to preserve the privacy of the patient, and the fact of having an opaque gown is not only get it, but it also makes the patient to be much more comfortable. In addition, it is water-resistant (but not waterproof, because after prolonged contact with liquid, it goes through), breathable and soft. 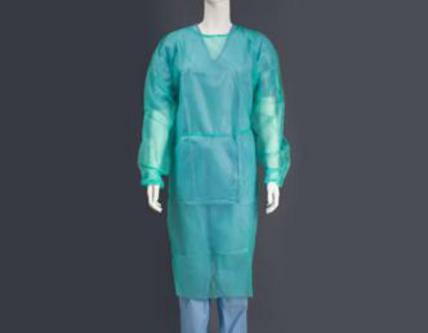 This gown is recommended for a general hospital use and to places where the body is required to be temporarily covered, such as radiology, CATs, MRIs, etc. Additionally, the gown may have a reversible use, leaving the open side in the front, being ideal for gynecological examination, for instance. We also have a variation of this product fully closed (opaque disposable nightgown) with weights of 30 g/m2 or 50 g/m2. All these properties make it worthwhile to try this new gown, so from CV Protection, we encourage you to contact us for more information or samples.